How To Do Nail Art At Home? – With Detailed Steps And Pictures. Make sure that there is no moisture in your nails. The second step to getting beautiful nail art is to apply your base coat. The third step starts once the base coat dries completely. 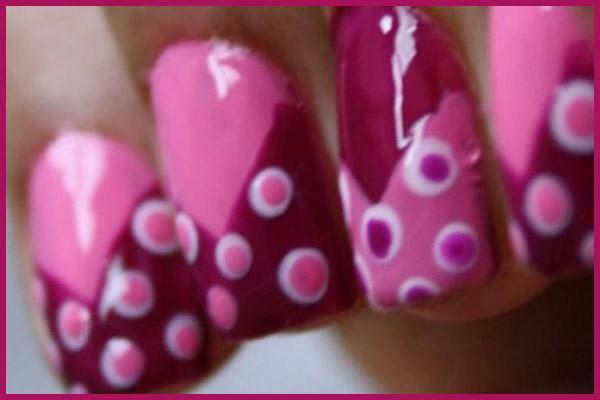 Apply a coat of pink polish and purple polish (on ring finger). Repeat this twice. 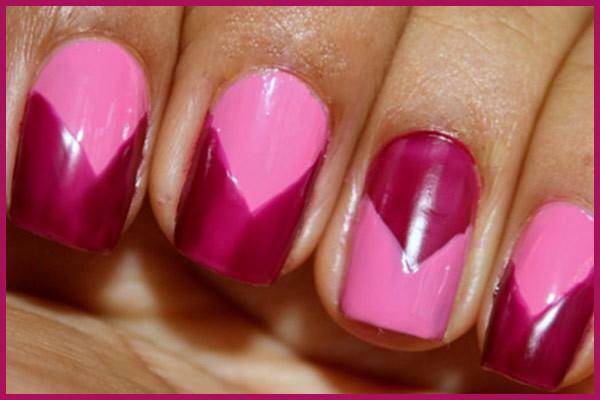 To create a chevron tip,Take the purple polish and stroke it in diagonal position from the left side of the nail. Repeat the same stroke from the right side of the nail (as shown in right picture). Now let it dry and if necessary, repeat the process to apply a second coat. 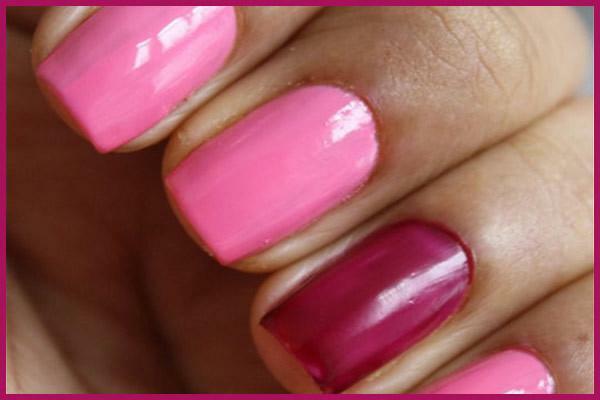 Remember, on the ring finger, create the chevron tip using pink polish. This is what your nails would look like thereafter. The next step is to use a toothpick and dip it in the white polish. 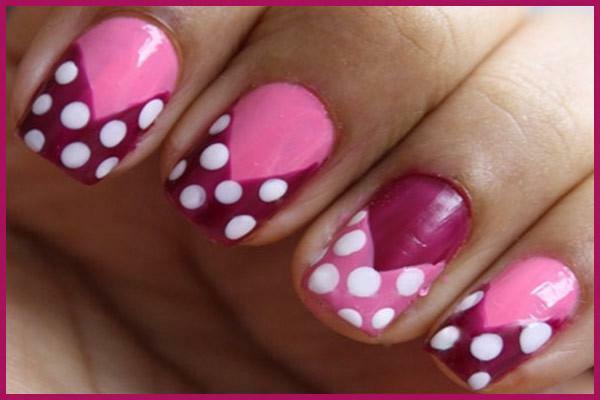 Place some big white dots on tips of your nails. The picture below showcases how the dots would look. 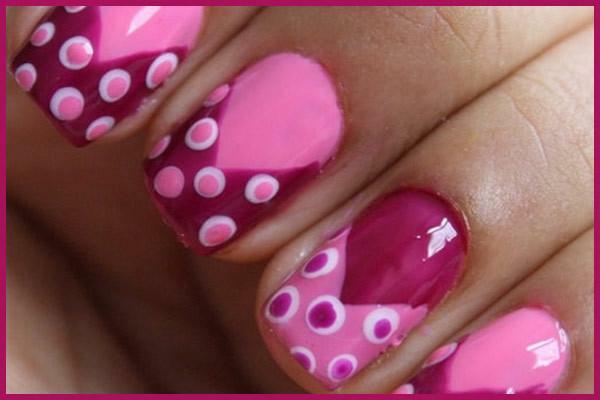 Give a good finishing touch to the dots. 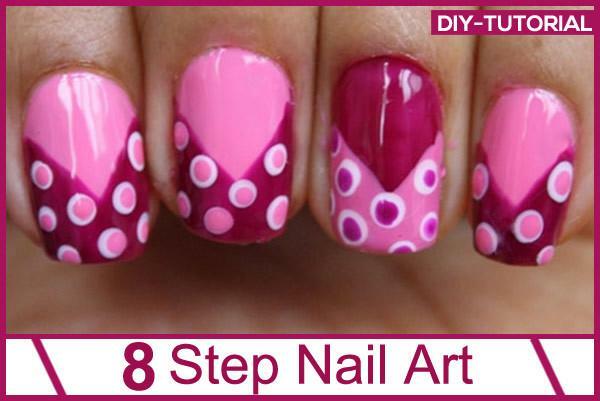 Dip a toothpick in pink polish and draw a dot inside each white dot on all fingers except the ring finger. Use a purple polish for the ring finger. The picture below shows how the dots would look. 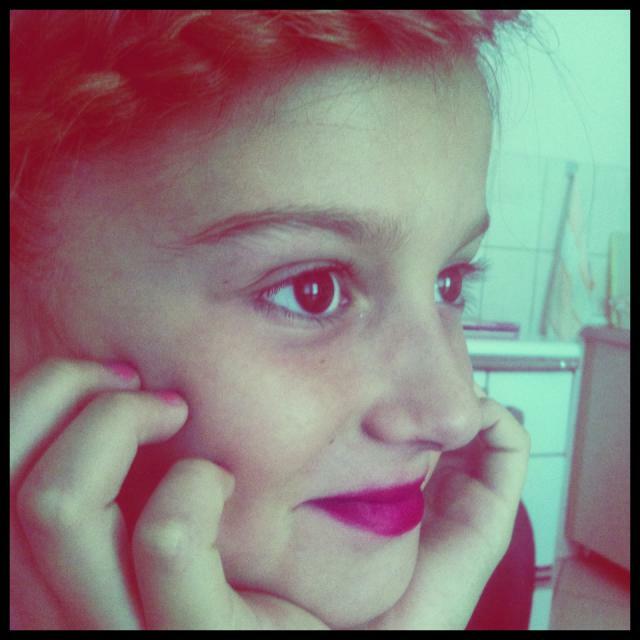 Now we are done with the creating part. 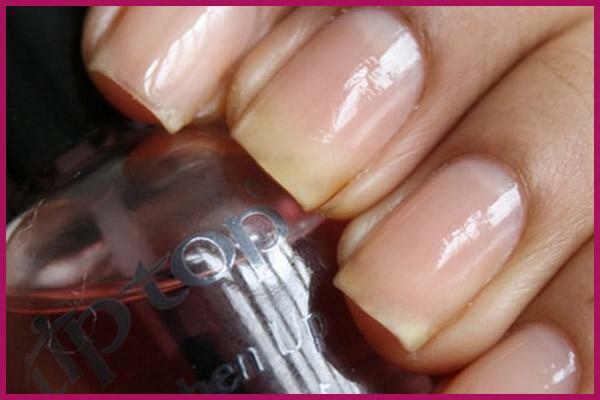 For the last bit, use a polish remover with a thin brush to clean up the cuticle stains. This step is necessary to give a neat look. If you save the tip ,please give it a thumbs up and share it.